Come and join us at The Keys Restaurant in the church crypt for a suspenseful evening of murder mystery! 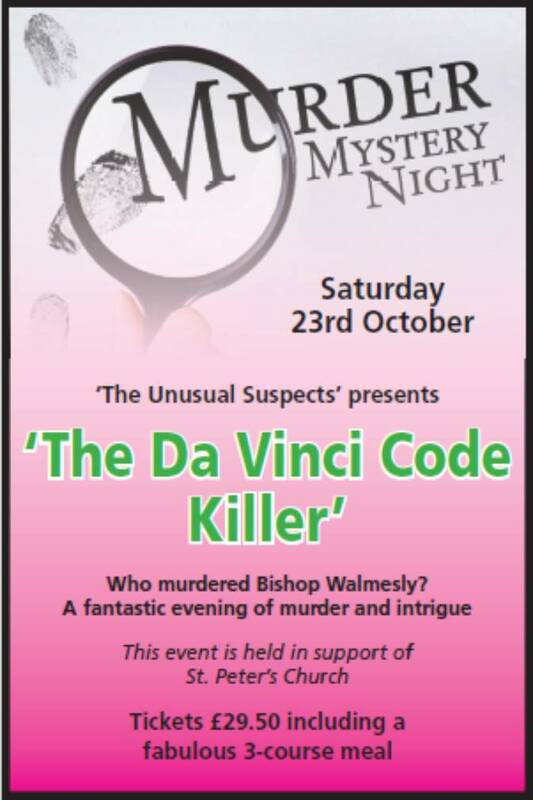 On Saturday 23rd October, The Unusual Suspects will present ‘The Da Vinci Code Killer’. Is your middle name Poirot? Always fancied yourself something of a Miss. Marple? Do you think you can discover just who murdered Bishop Walmesly? Then come and join in the fun to help raise funds for essential repairs to the church ceiling. Tickets are £29.50 and include a sumptuous 3 course meal as well as all the murderous intrigue you can stomach! They can be bought via The Keys Restaurant or the parish office. Details of how to contact either can be found here on the website. We look forward to seeing you there. Just keep one eye looking over your shoulder. You never know who will be next! Previous Post September/October Church Magazine Out Now! 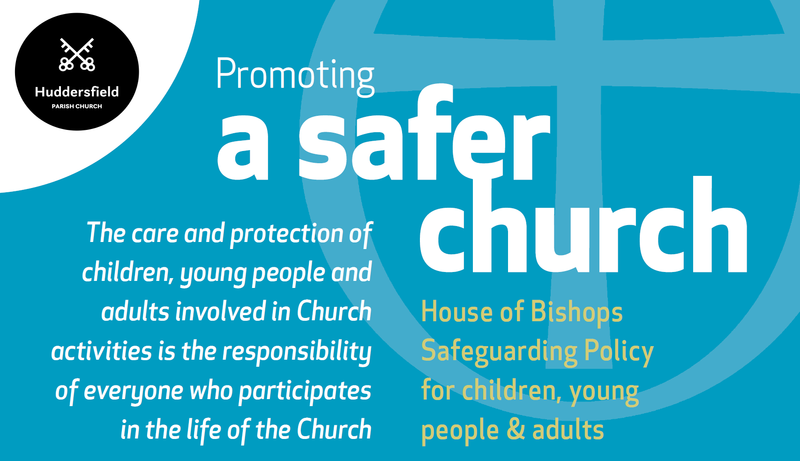 Next Post November/December Church Magazine Out Now! Hi my friends and I attended the quiz night last year and thoroughly enjoyed it. We were wondering if there was another one in the pipeline planned for this year. Hi Heather! So glad to hear that you have enjoyed previous quiz nights. Unfortunately this year’s event has already passed, but watch this space! We’re always planning new fund-raising events and it is good to know that the quiz nights go down well! I hope you’re not sick of me posting cmtoenms lately David. I’ve been reading your blog for a while, but only recently began commenting so find much to talk about.This post of yours blew me away, as a few days ago this little poem came to me out of the blue.I often sing to myself and get these little lyrics that I have no idea what to do with, so I give it to you. I was a dream with no interpretationA beginning with no endA river with no clear destinationTill I found you, the one who is my friend Perhaps I’ll turn it into a song one day, and add more lyrics, but for now it sounds almost like a prophetic word. Not just for me, but for others.The one who is my friend is Jesus, and he has me on a journey. He is the destination, I believe, but he is inside me(us), so he isn’t confined to any particular place. Wherever I(we) go, he goes. Perhaps that is what it means crystal.